You are here: Home / Blog / Slots still available for Beginning Hiking and Backpacking Seminars! Slots still available for Beginning Hiking and Backpacking Seminars! Whether you are first time hiker or more experienced backpacker looking for advanced tips from our experienced group of leaders, we've got something for you. 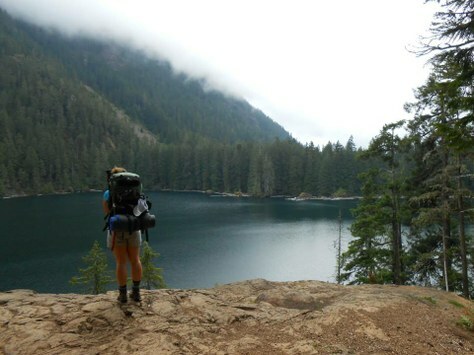 Check out our Beginning Backpacking, Intro to Hiking, and Lightweight Backpacking Seminars! Whether you are first time hiker or more experienced backpacker looking for advanced tips from our experienced group of leaders, we've got something for you. Check out our Beginning Backpacking, Intro to Hiking, and Lightweight Backpacking Seminars! We've got two seminars happening in Seattle and one in Tacoma at the end of next week! This course teaches the principles, strategies and product knowledge of lightweight backpacking and climbing to fit your personal goals, style, needs and trip conditions rather than taking the one-gear-fits-all approach. We provide extensive coverage and demonstrations of the latest clothing, gear and food to help you design your own individual system. We also look at innovative products from home-based gear designers as well as resources for making your own gear. Learn how to carve 10%-50% from your pack weight in this class in an affordable and safe fashion. New to hiking or to the pacific northwest and want to be more prepared before hitting the trail this spring and summer? This evening seminar covers where to hike, how to chose a hike, how to stay safe and most importantly what gear you really need. Learn how to select and properly pack your backpack, and learn about food/stoves and cooking, boots/socks and hiking without blisters (or how to treat them if you get them), tents/sleeping bags and how to be comfortable sleeping on the ground, leave no trace camping (and how to answer the call of nature without any facilities), clothing and layering, and much more. Bonus points if you read this and can name the lake in the photo in the comments below!